A little extra heft, a mass that makes a more masculine appeal, and – let’s not overlook – a little extra space to sprawl out on. 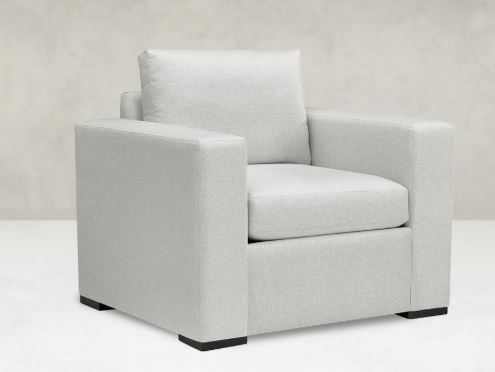 High quality polyester fibers, Back cushions are channel sewn to maintain optimal comfort and appearance and filled with high quality polyester fibers. Kiln-dried North American hardwoods, double-doweled and glued, with blocked corners and joint breakers for added reinforcement, form a strong, sturdy and long-lasting foundation. All frames have a lifetime warranty. Long-life Seat Cushions Standard cushion is made of High Resiliency (HR) 2.0 minimum density foam, wrapped in multiple layers of polyester fiber and encased in a non-woven ticking material. We also offer a Feather-and-Down cushion upgrade. Heavy, 8-gauge, sinuous no-sag springs, closely spaced, secured with a webbing strap and a double row of tie wire, create a comfortable, supportive and durable seat. Made of resilient hardwood or stainless-steel legs and bases in different shapes and sizes to enhance each style. Sturdy synthetic substrate added to inside backs, outside arms and under fabric to maintain original form and reduce the effects of accidental tears and punctures. 30710 LRG FRONT RAIL 2" LEGS 29IN. 33IN. 32IN. Please note price is for grade B-C fabric only and each grade is different price. 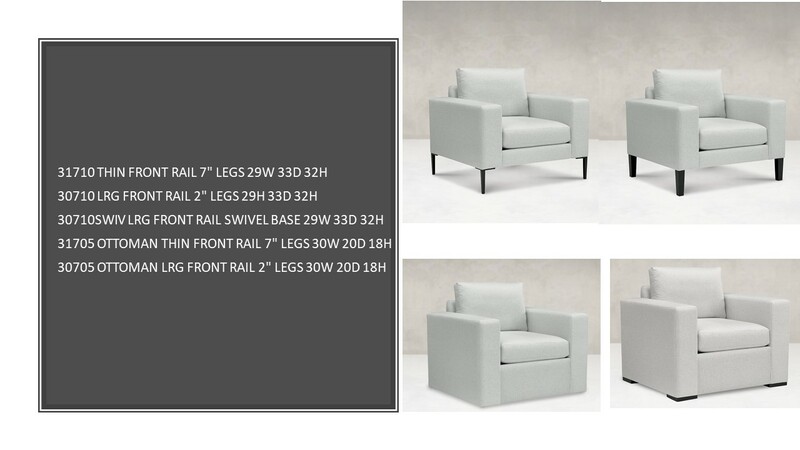 Price is applicable to the picture shown above only, each configuration has different price.